Since 1730, Floris of London has been providing luxurious fragrances, accessories and fine toiletries to a staunchly loyal customer base. As “Perfumers to the King” the success of their first location outside of Britain was crucial to their international expansion strategy. Located in a historic landmark on NYC’s Madison Avenue, TPD was commissioned to redefine the Floris prototype in a lighter more modern style while respecting the brand’s pedigree. In order to accomplish this, a monochromatic and illuminated architectural shell was created with honed beige limestone and lacquered millwork that flanks the perimeter with integrated glass display shelving. 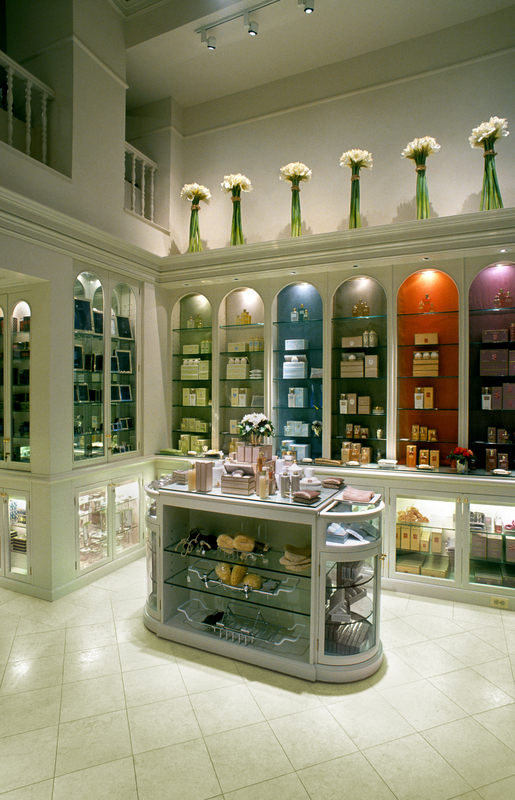 The overall effect is a halo of light that accentuates the shimmering colors of the merchandise.